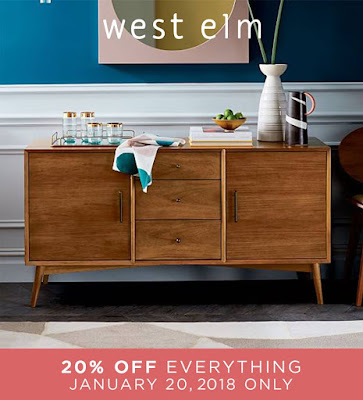 Check out West Elm's One-Day SALE happening today, January 20, 2018. Enjoy 20% off on ALL items! Head to West Elm Store located at Estancia Mall, Capitol Commons now!